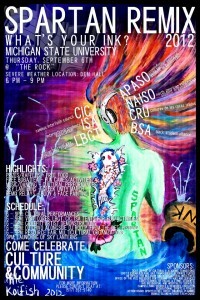 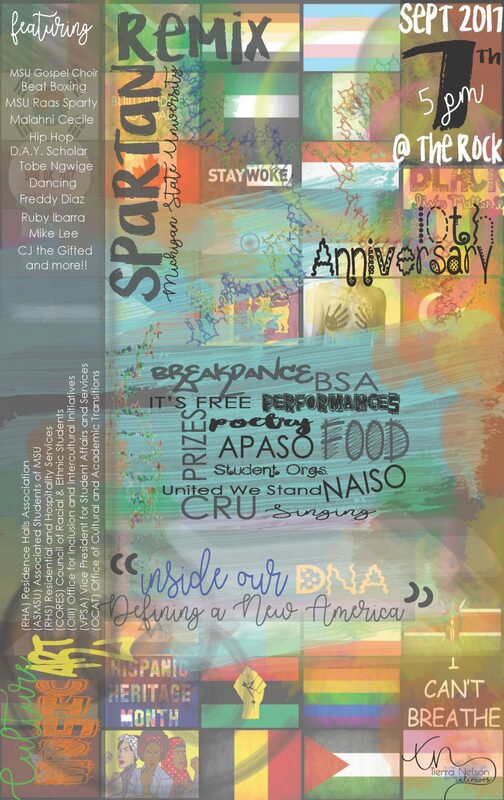 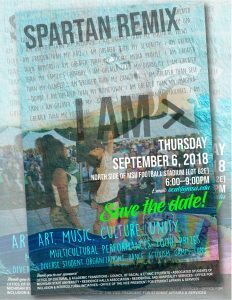 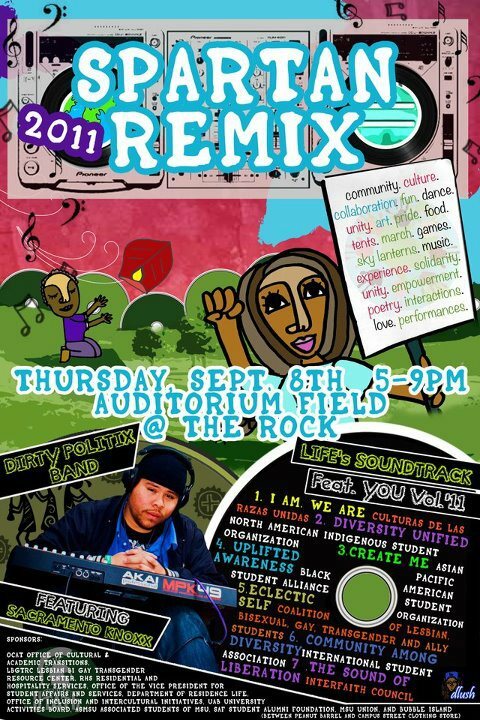 Spartan Remix is an annual cultural festival that takes place each fall on the Thursday after Labor Day. 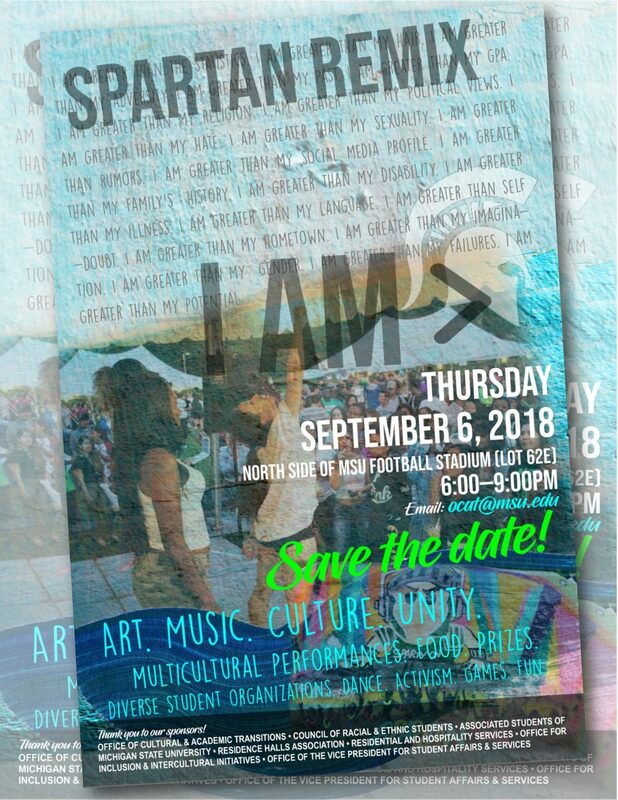 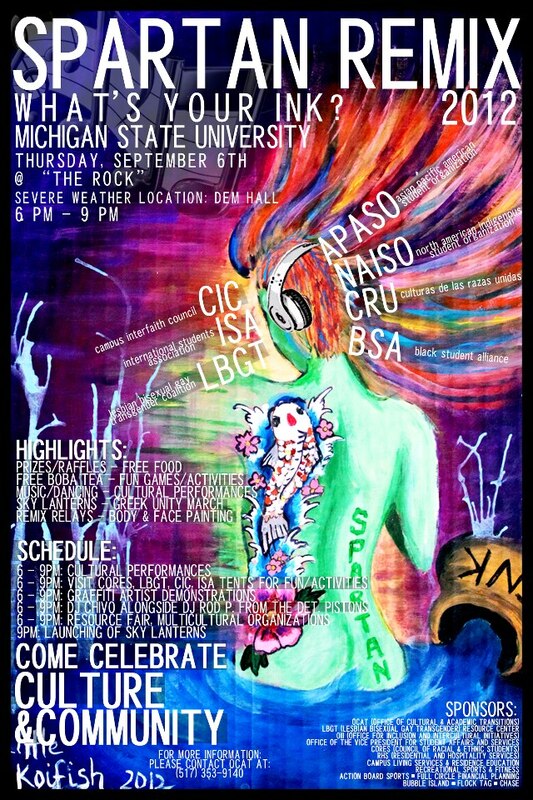 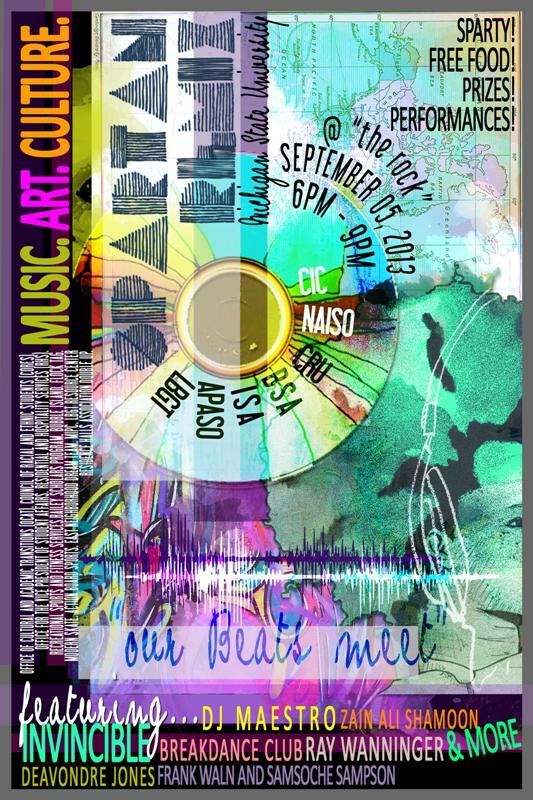 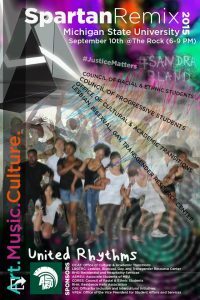 This unique event of music, art and culture truly captures the essence of collaboration and interculturalism by creating a space for the MSU community to come together in celebration, education and pride of their communities. 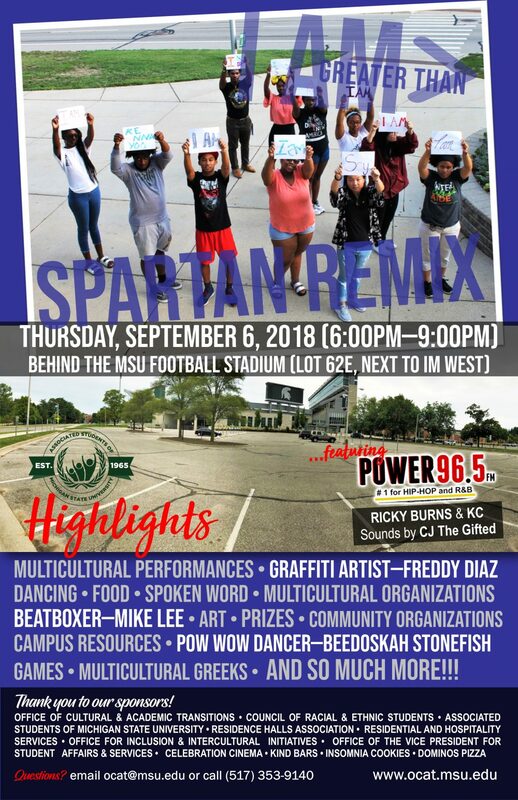 The Office of Cultural & Academic Transitions coordinates the event with a diverse group of students who volunteer to be part of the Spartan Remix Planning Committee. 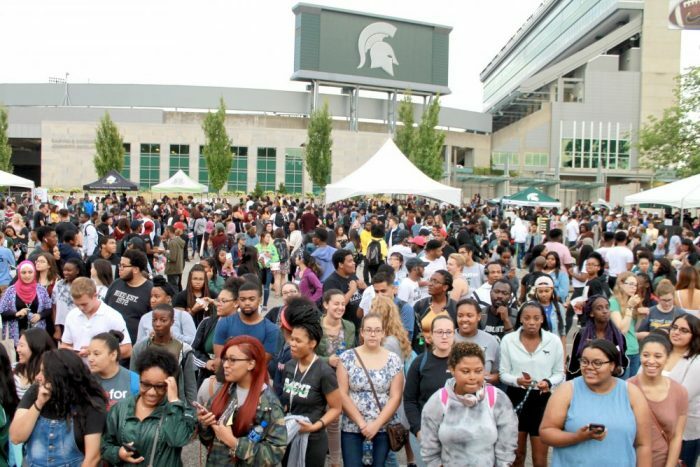 Throughout the summer planning meetings and annual retreat, committee members gain an appreciation and understanding of difference through cultivating the relationships formed while planning this event. 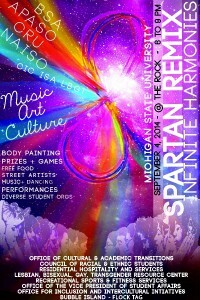 The planning of the event takes place during the summer before Spartan Remix and is open to any MSU student. 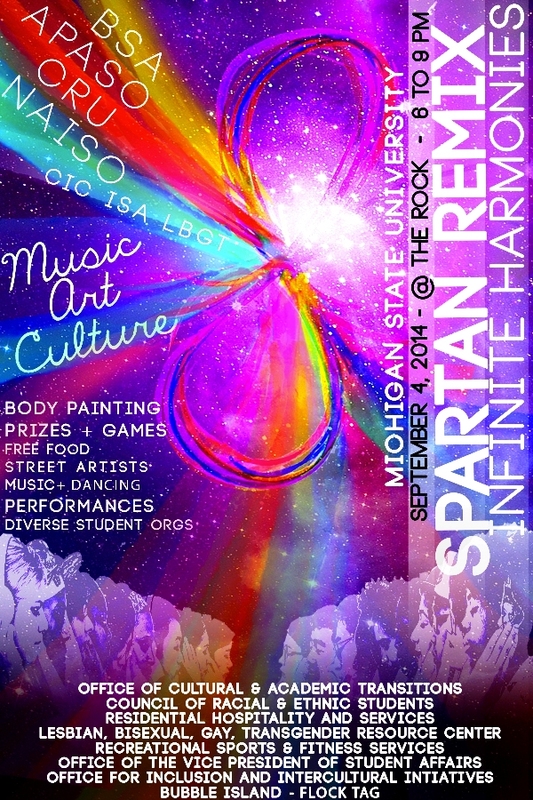 For more information, contact OCAT (ocat@msu.edu). 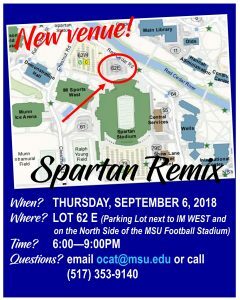 LIKE our FACEBOOK PAGE and stay-up-to-date with the latest Spartan Remix happenings! 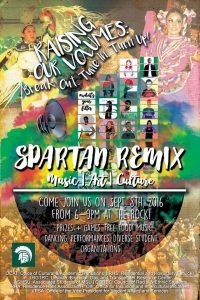 Click the image above the Spartan Remix 2017 Recap Video! 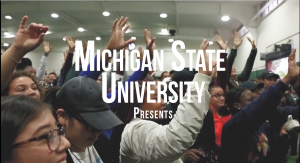 View SPARTAN REMIX 2014 RECAP HERE! 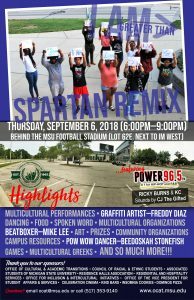 View Spartan Remix PHOTOS here! 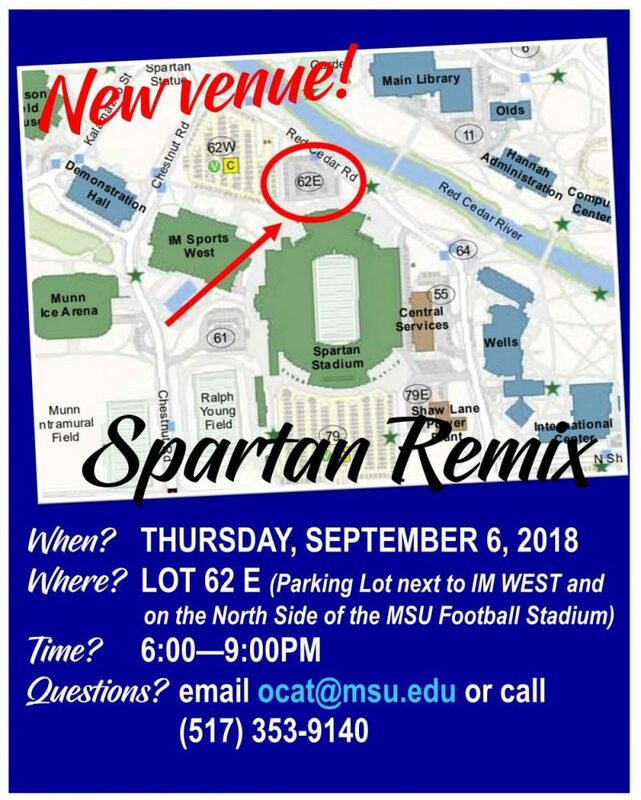 Read more about Spartan Remix in the State News!